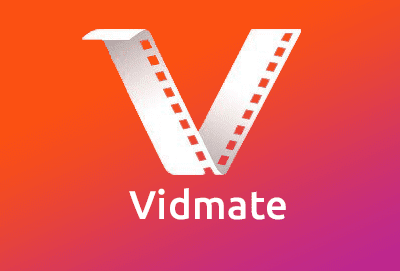 If you’re looking to download and save some of your favorite videos, you should consider using VidMate. 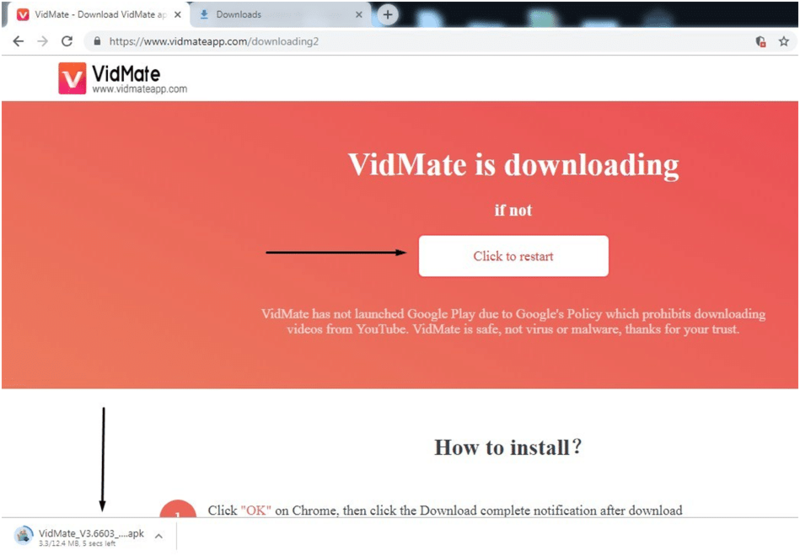 VidMate is an app that lets you download videos, music, movies from all over the internet, including websites such as Facebook, YouTube, Instagram, Tumblr, Soundcloud, and many more. With VidMate, you can download your favorite videos in high-definition (HD), with ease. VidMate app is unavailable on Google Play, due to the internet policies related to online content. However, you can still use all of its features without worry. 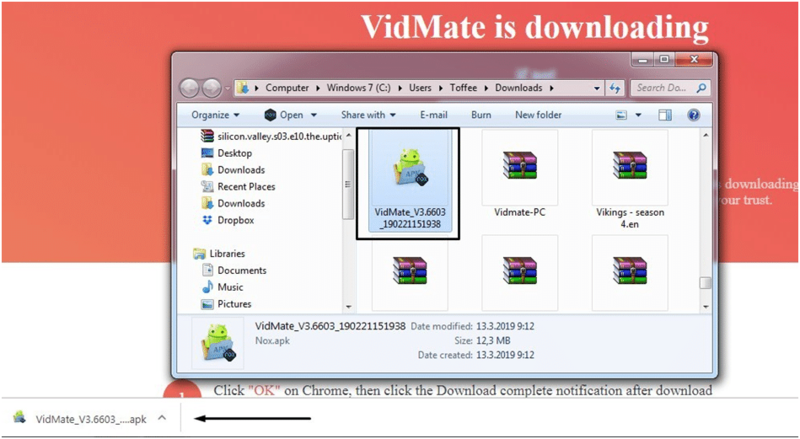 This guide will show you how to download, install, and use VidMate on PC. 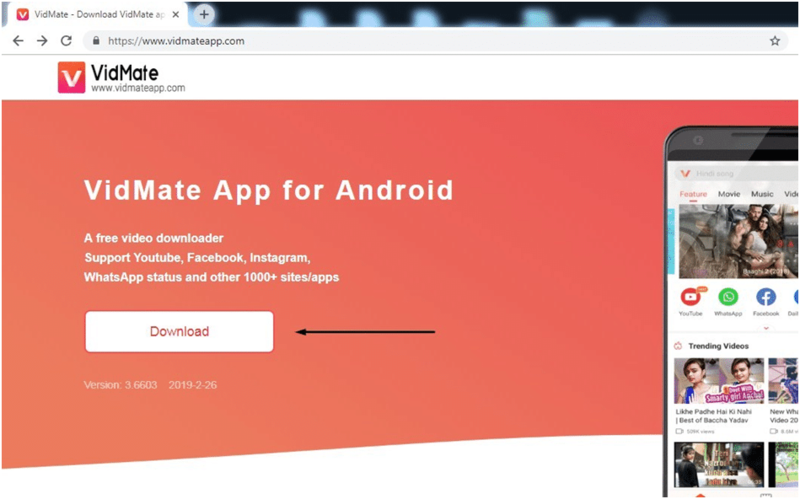 To download VidMate, head over to the official website at www.vidmateapp.com, and click the white “Download” button. If your download did not automatically start, use the “Click to restart” option, and the download should begin. Once finished, click on the small arrow and select the “Show in folder,” this will lead you to the location of your file. Now, you can choose to leave it there, or you can copy the file to your desktop. In this case, we’re leaving it in the /downloads folder. 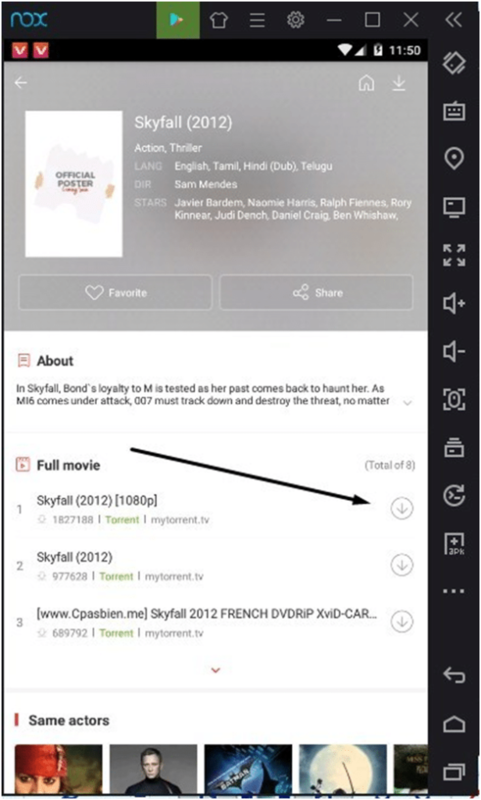 Since VidMate comes as a .apk file, you won’t be able to run the app on its own. 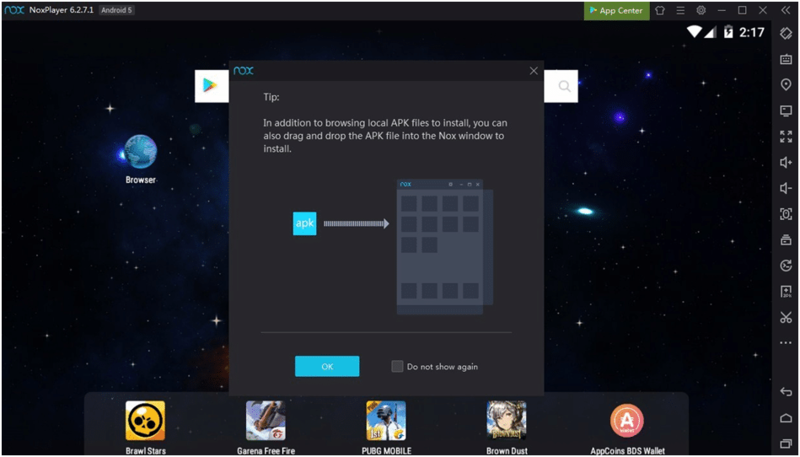 To use .apk files on PC (Windows/MacOS), you need to install an Android Emulator software. 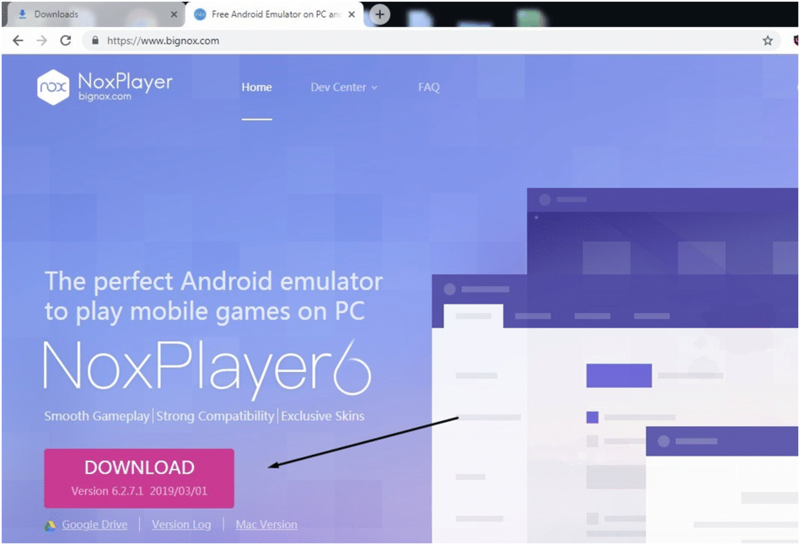 In this case, we’re going to be using Nox Player to run VidMate on our PC, but the process is similar on all emulators. First, head over to www.bignox.com and start downloading the latest version, NoxPlayer6. The download should start immediately, and the file should be around 350mb, so take your time with it. 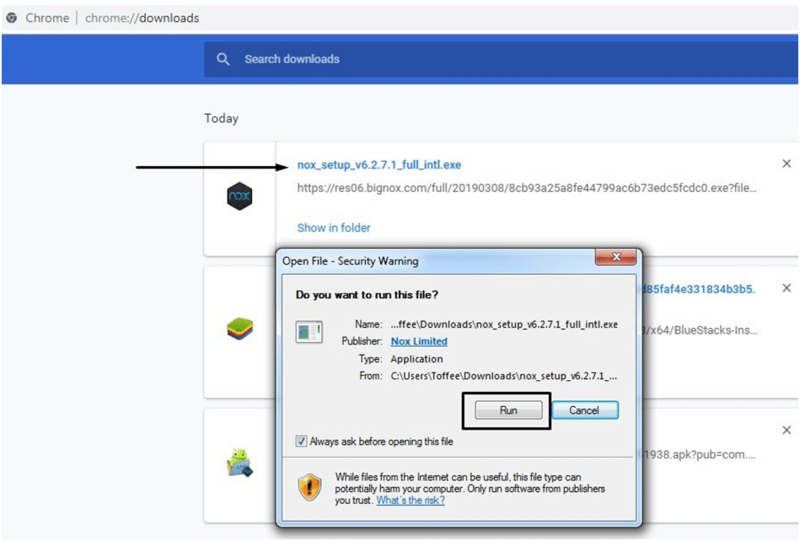 Once the download is over, open the downloads folder or head over to chrome://downloads and click the file name to execute and start the installation process. A security warning may pop up asking you to confirm the command and if it does — click “Run” to begin. After running the downloaded Nox file, a new installation window will pop-up. Here, you will be prompted to agree with the Nox License Agreement (must-do) to begin the installation process. Additionally, in the bottom right corner, you will find the “Custom” button, which you can use to select the installation folder and a few other handy shortcuts. In our case, we’re using the default Program Files folder. Click “Install,” then in a new window click “Start,” and wait for the installation to finish. Note: You may have to disable your antivirus software until the installation is complete. 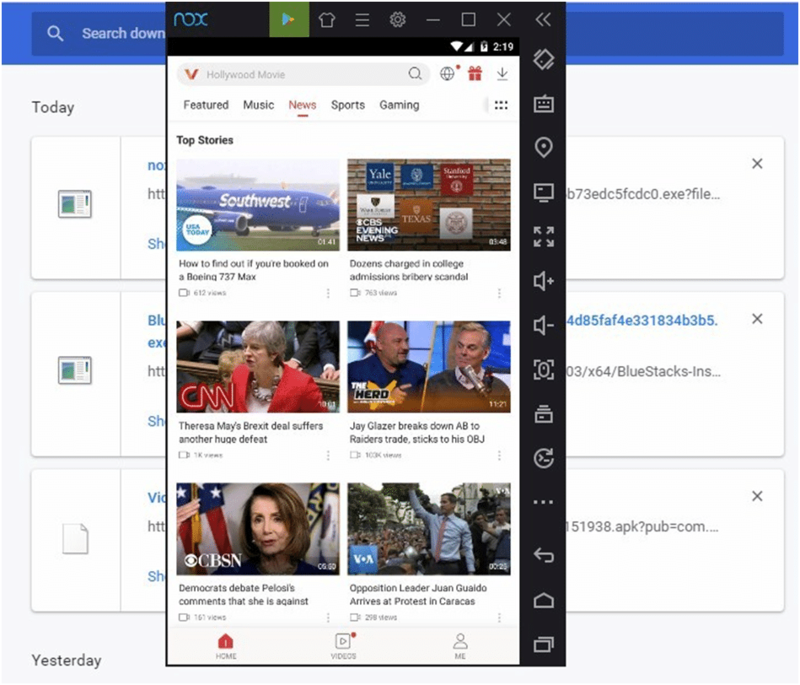 A few minutes later, NoxPlayer will be installed to your PC. The app will open immediately (if not, find the desktop app and click on it) with a quick tutorial on how to use it. 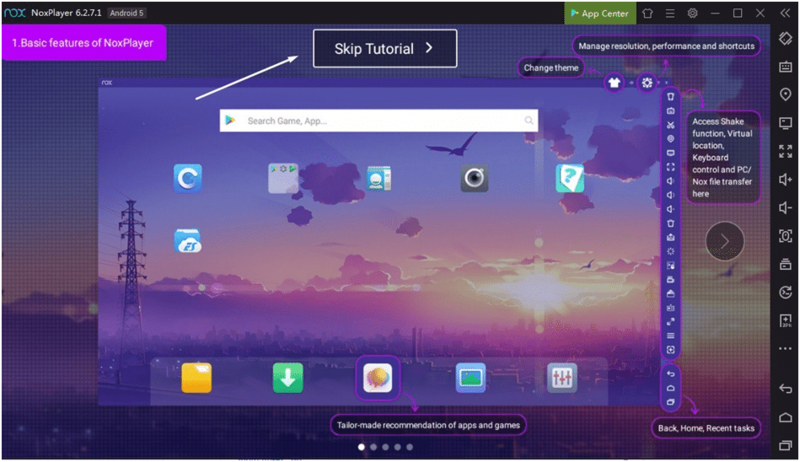 You can go through the tutorial to learn more about the app, or click “Skip Tutorial” to start using it. 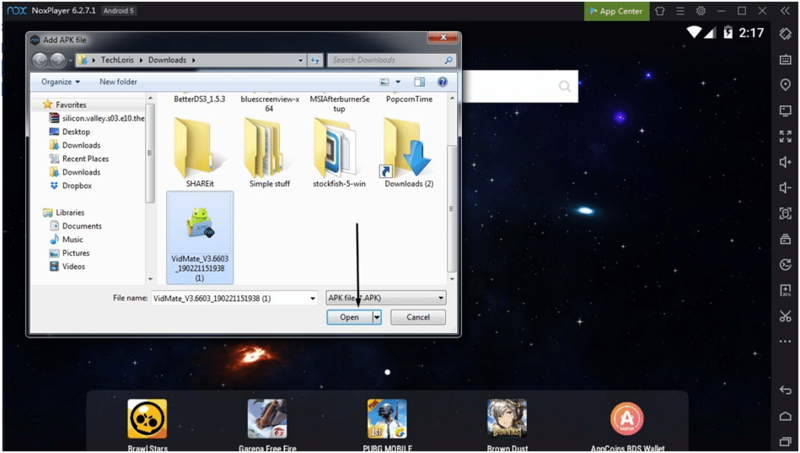 After that, we’re going to add our VidMate .apk file to our new android emulator. Your new Android emulator is ready to use, so go ahead and click on the “Home” button in the bottom right of your screen. You can find the location marked by a red arrow on the image below. 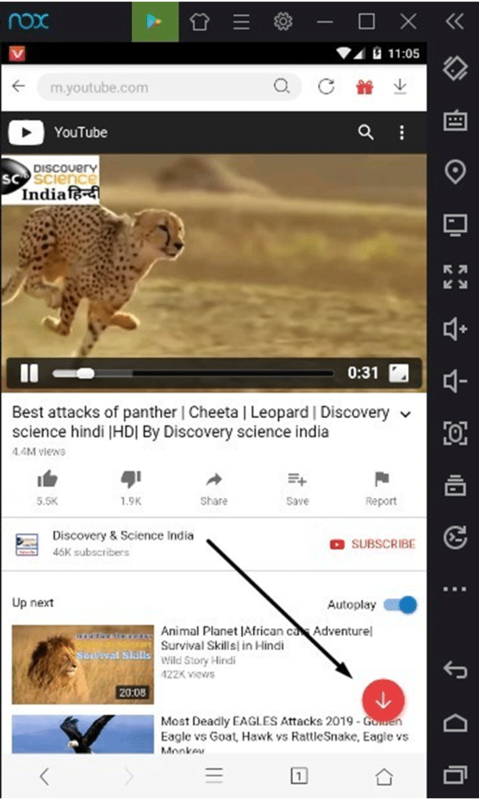 Do you remember the location of your VidMate.apk file from earlier? It should be in your /downloads folder or on your desktop if you copied it there. 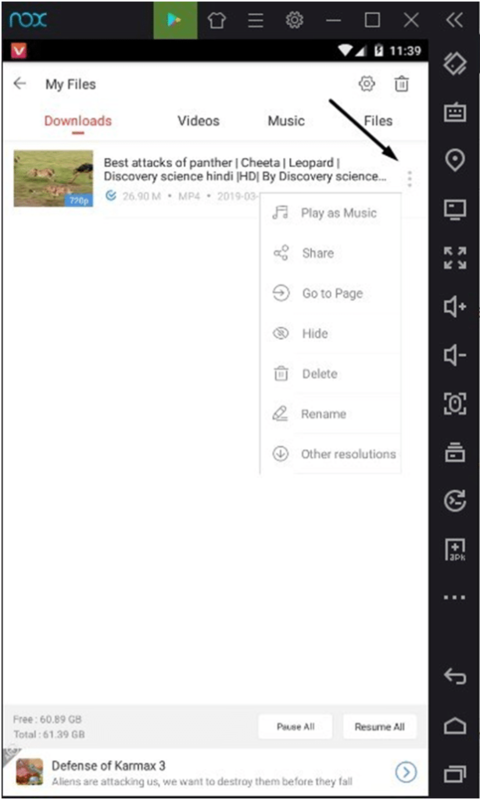 If you can’t find it, use the “Search” function on your OS, type in “VidMate,” and this should help you find the file. 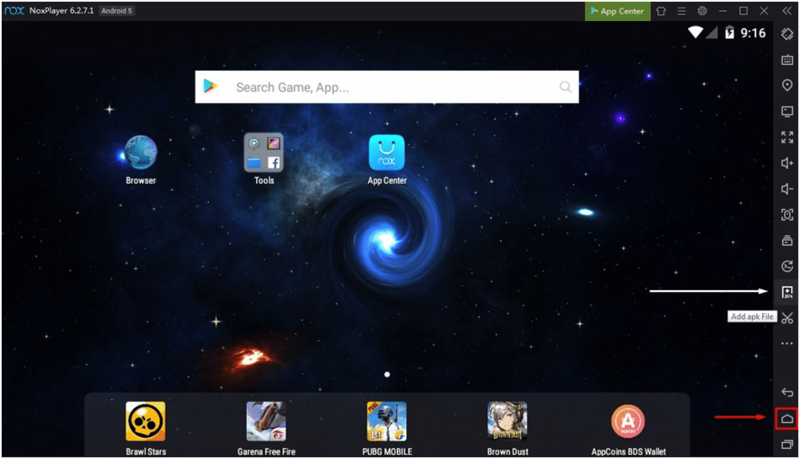 Click “OK,” find your VidMate installation file and click “Open” to install VidMate on your Android emulator. It might take a few seconds to complete, so please be patient. And that’s it — you’ve successfully installed VidMate to your PC! 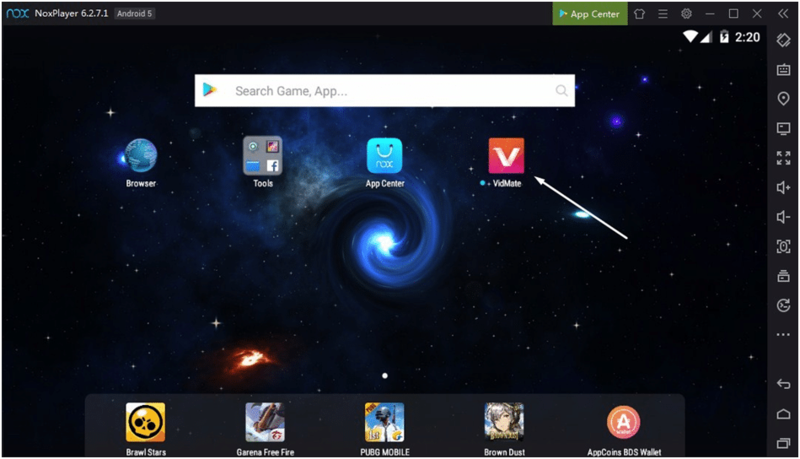 Now, it’s time for you to learn how to use VidMate on your PC. We will show you a few tricks to help you out, so stay tuned. All of your downloads are saved in the “My Files” directory, and you can play, share, rename or tweak them as you wish. 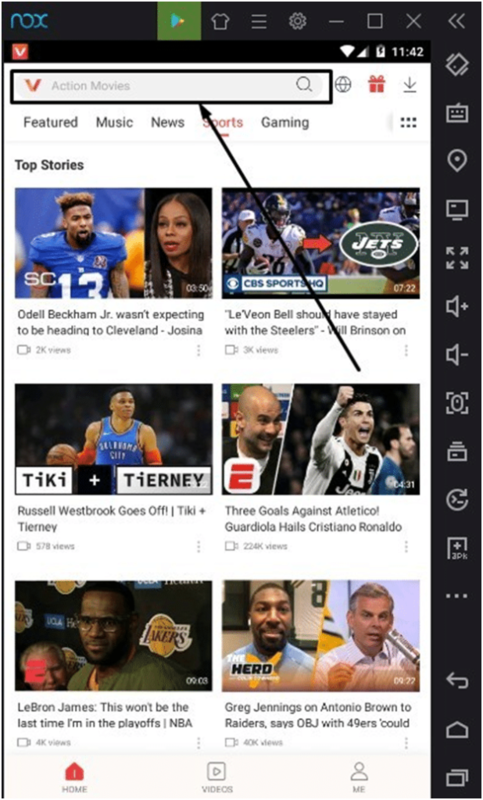 Additionally, you can also use the search function to find songs, movies, sports games and anything else that you’re interested in. Type in what you want to find, and browse down to find it. Click on the movie, and you can find a list of torrents that you can use to download. Pick the one that suits your desired quality (1080p, 720p) that has a good seeding speed. Some links will be slow; others fast, so try multiple links before you choose which one to download. You will also be prompted to install a BT Plugin for torrent files (2.2mb), and you have to download it if you want to download a torrent. Your download file can be found in “My Files” directory. 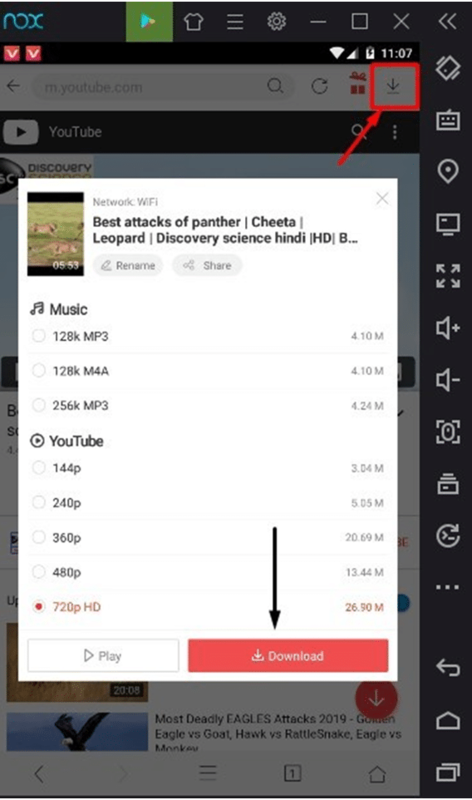 Finally, if you want to tweak some of your VidMate settings, you can do so by clicking on the “Me” button, where you can find options such as your files, search history, watch later, but also Settings where you can find your download settings and other features that the app offers. And that’s pretty much it. The app is easy to use, and you shouldn’t have any problems navigating it. If you still need some help about a specific feature, feel free to refer to the FAQ section on the official VidMate website. 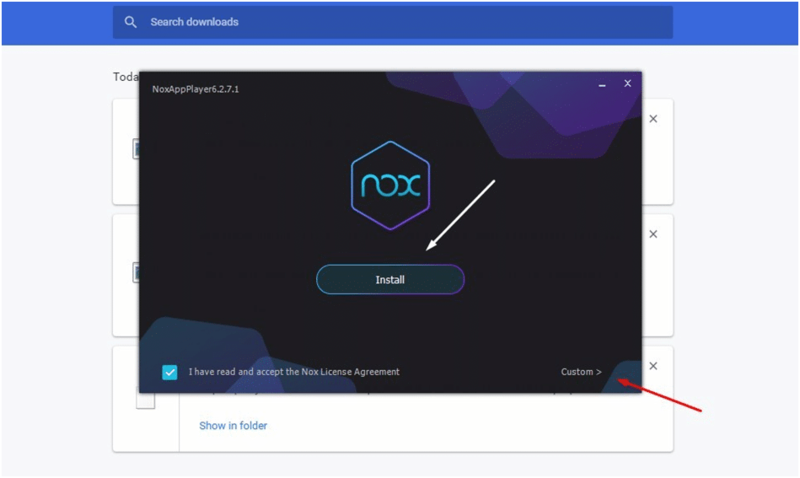 Finally, if you want to copy these files to your PC folder, take a look at this short guide from Nox. 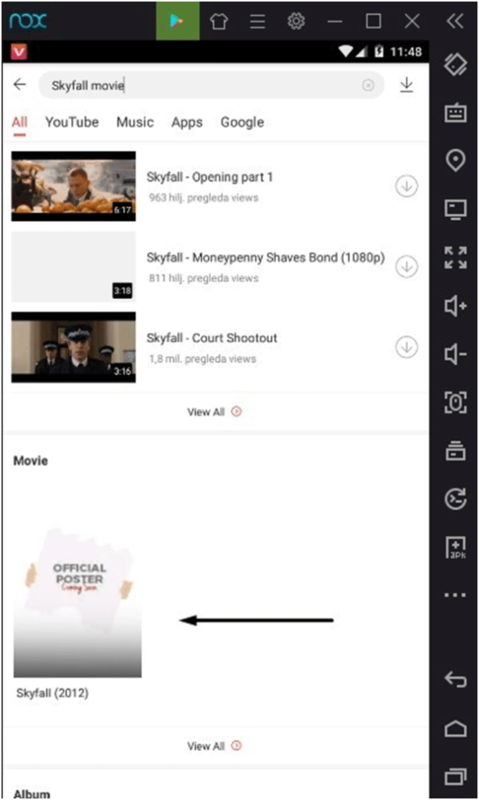 What’s your opinion on the VidMate app? Let us know!